Has your child been thinking of a new sport to participate recently? Or maybe they’ve been begging you to let them join the local baseball team? Leave them! Here’s why: kids love to play baseball. It’s a team sport that involves all their friends from the school or the local neighborhood, and everyone gets together and has fun. It teaches teamwork, movement skills, makes them fit, keeps them healthy and, most importantly, gives them the great social interaction that many children lack these days thanks to the advancement of technology. 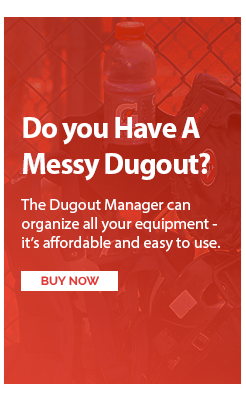 Playing in a structured team sport such as baseball will give your child many life lessons and allow them to evolve physically and emotionally in a sport they love to play. How many children are playing? Baseball is one of the fastest growing sports in the world. Currently, more than 3 million children play only in the US And about 10 million around the world! 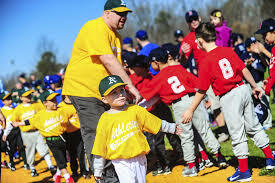 As of 2012, they estimated that more than three million children play Little League baseball each year. Little League started in 1939 as a sport that younger children could play and enjoy. In 2013, Little League teams can be found throughout the United States and around the world. They will love learning about a sport that teaches them how to behave in different situations, such as losing and winning. Children are keen observers and will learn from others about how to deal with a situation correctly, learn how to deal with feelings of loss and how to have a good time celebrating when they are winning; These are all the skills they will carry throughout their lives. So keep going, your kids love the idea of ? ?baseball, so let them have a chance! Who knows what could be the next Babe Ruth. Have fun and enjoy!